Renowned scientist Kamlesh Nilkanth Vyas has been selected as the secretary of the Department of Atomic Energy and Chairman of the Atomic Energy Commission, according to an official order. “The appointment committee of the Cabinet has approved his appointment till he attains the age of 64 years on May 3, 2021,” the order issued by the Personnel Ministry said. 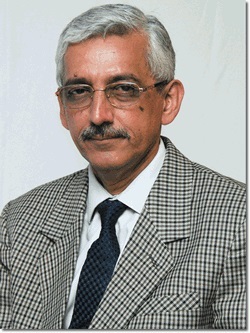 Vyas, who is at present Director of Bhabha Atomic Research Centre (BARC), has been appointed in place of Shekhar Basu. Vyas is a Mechanical Engineering graduate from MS University, Vadodara. After completion of training in BARC training school in 1979, he joined Fuel Design and Development Section of Reactor Engineering Division of BARC. Vyas has worked for design and analysis of nuclear reactor fuels, according to his official bio-data. He was also responsible for design and development of a novel fuel for strategic applications. Vyas has worked extensively in thermal hydraulics and stress analysis.